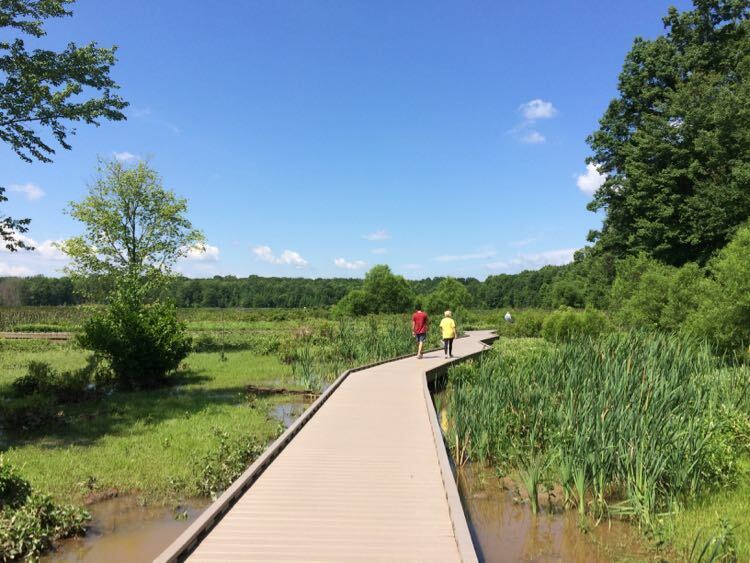 For many people, visiting Washington DC means making sure the family or group sees a bunch of monuments, zipping through a White House tour, then heading to Philadelphia or Williamsburg. 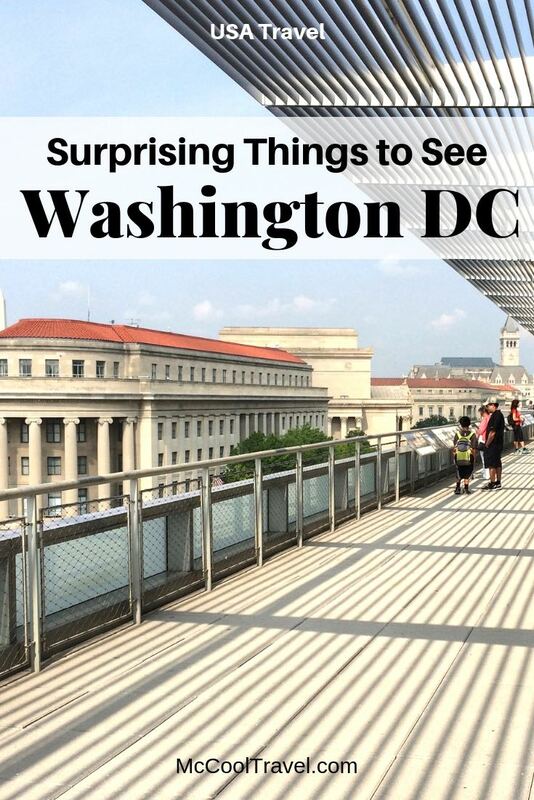 I have lived near USA’s capital city for over 20 years, so Expedia asked me to share some of my favorite, surprising things to see in Washington DC. 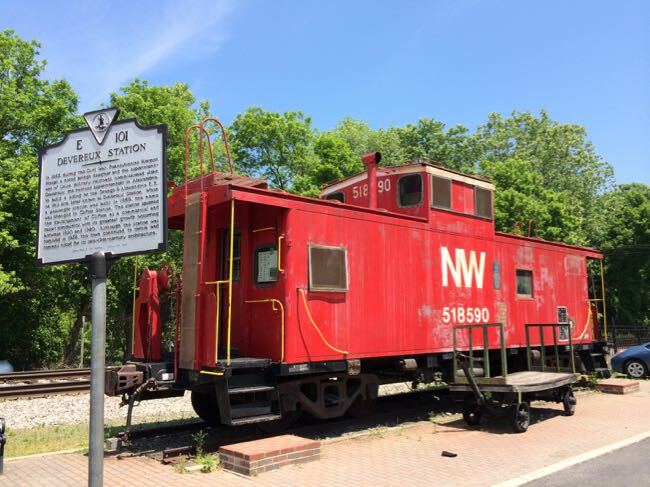 This is a guest post by Charles McCool that was first published on McCool Travel. 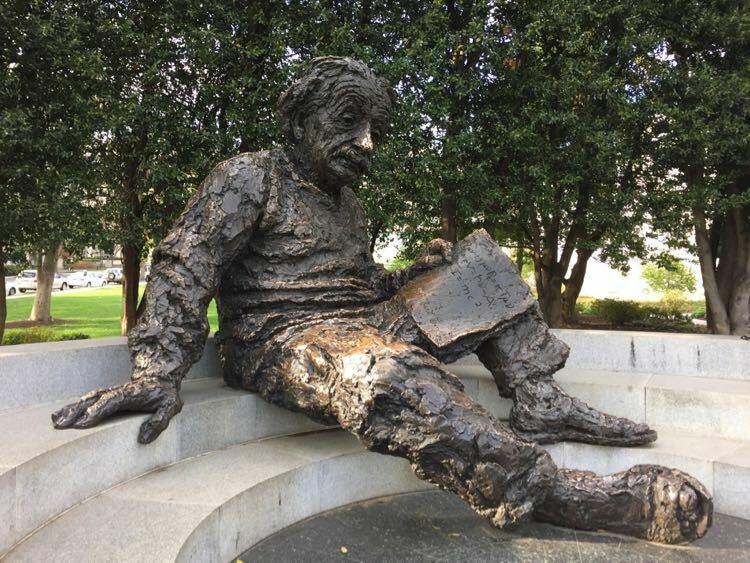 One of my favorite surprising things to see in Washington DC is the Albert Einstein Memorial. 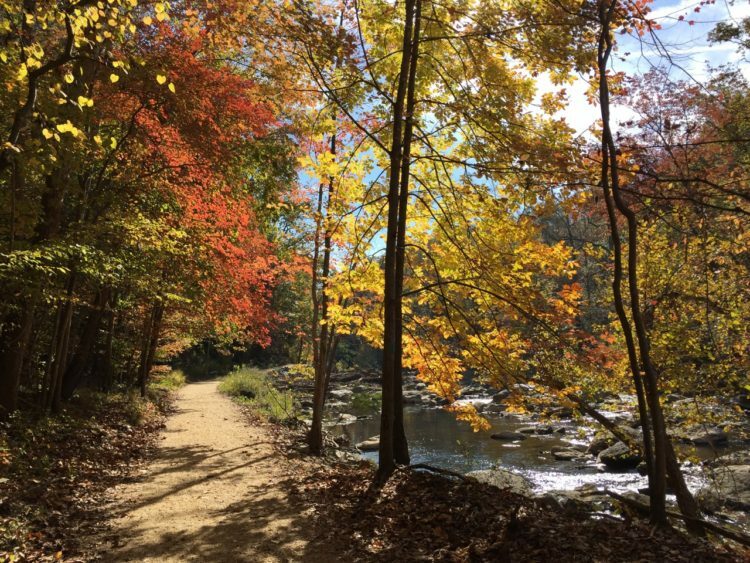 This is my favorite instagrammable spot in DC and surely will be one of yours. Climb on the good doctor’s lap, put your finger in his ear or nostril, or stroke his mustache. The 2x actual size statue of Einstein sits right across the street from the Vietnam Veterans Memorial. If possible, visit on Pi Day to celebrate Einstein’s mathematical birthday. McCool Travel tip: At night, park right in front of the statue and you will likely have the place to yourself. It is convenient and fun to visit the nearby Lincoln Memorial area monuments (Vietnam, Korea) at night. The Newseum celebrates and defends the First Amendment and the Freedoms of Religion, Speech, Press, Assembly, and Petition. Highlights among the Newseum’s seven floors include the Berlin Wall, Pulitzer Prize Photograph Gallery, and the poignant and powerful 9/11 exhibition. 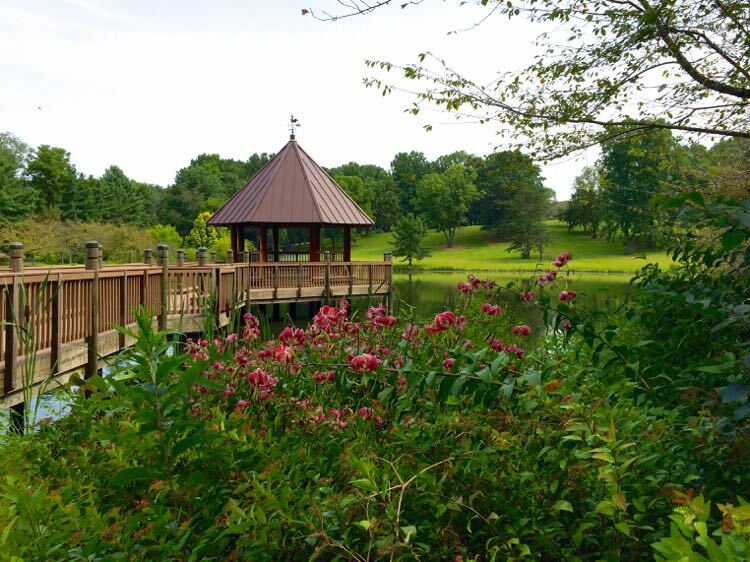 During your visit, be sure to check out the magnificent views along Pennsylvania from the balcony level. For a lunch break, visit the Wolfgang Puck cuisine on the ground level. Who said museum food is boring? Save 15% on Newseum admissions by buying tickets online. 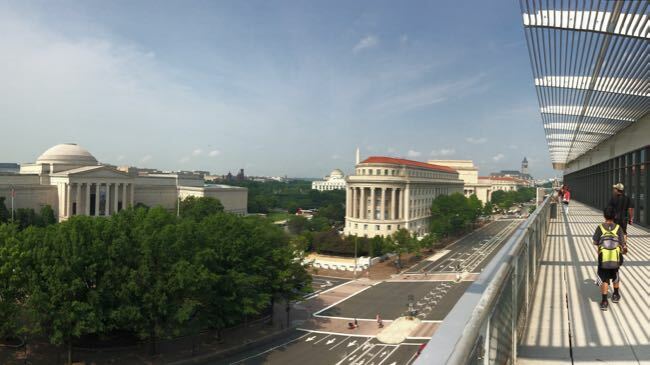 Visit the Newseum on a weekend getaway to the US Capitol Area. To search for the best hotels in Washington DC, click here. Every time I visit Washington DC, I am astonished at the quality and quantity of world-class museums. Many of them are Smithsonian museums and are ABSOLUTELY FREE. The top two most visited museums in the United States are in Washington, DC (both are free): Natural History Museum and Air & Space Museum. Also part of the Smithsonian collection is the National Zoo which is also free, FREE, FREE. If you visit on a scorching hot summer day, overhead water misters keep you cool—but try to visit in the spring when there are baby animals. 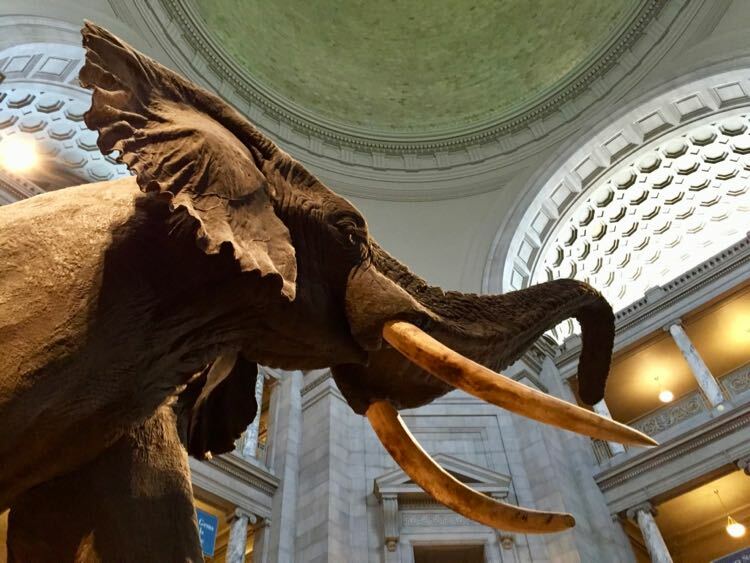 Those are amazing museums but I also enjoy other Smithsonian properties—including American Indian Museum, Portrait Gallery, Renwick Gallery, Hirschhorn Sculpture Garden, Botanic Garden, and Folger Shakespeare Library. Superb museums in Washington DC charging an admission fee include the Newseum, Spy Museum, and National Geographic. Skip that trip across the Atlantic Ocean because one of the most surprising things to see in Washington DC is the world’s largest Shakespeare collection at the Folger Shakespeare Library. The on-site Folger theatre hosts performances, lectures, and other events. Located only a block from the US Capitol Building, Folger also houses an amazing collection of works from Renaissance Europe. On my last visit, I spent an hour looking at dozens of books from the 14th to 18th century. McCool Travel tip: View the even older Magna Carta (from 1215)—along with the original Declaration of Independence and other rare historical documents—at the nearby National Archives. For an inexpensive Washington DC dining experience, try breakfast or lunch at the Dirksen Cafe in the Senate Office Building. This is where most Congressional workers eat but it is also open to the public. The salad bar is an especially nice deal. I like to make my own salad here and it costs about half the price of nearby places. In the middle of November, Dirksen serves a traditional Thanksgiving lunch. Two summers ago, I walked past Senator Bernie Sanders on the sidewalk outside the building. So I truly can say you never know who you will see there. 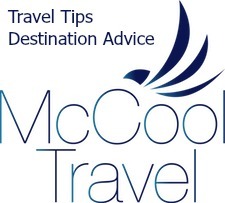 McCool Travel tip: You can also eat at cafes inside the Supreme Court and US Capitol Building. 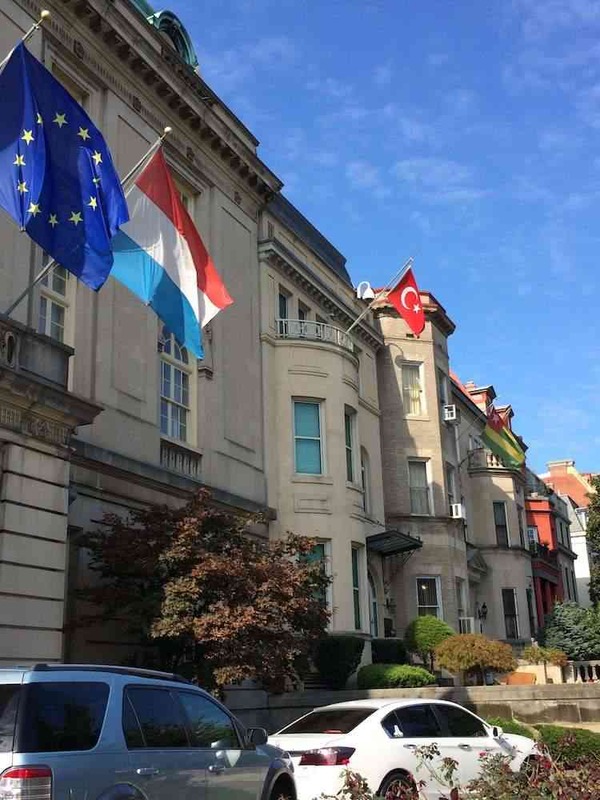 Nearly every country in the world has an embassy in Washington, DC, and many of them are located in an area known as Embassy Row. Simply walk into the buildings and you will meet someone from countries around the world. 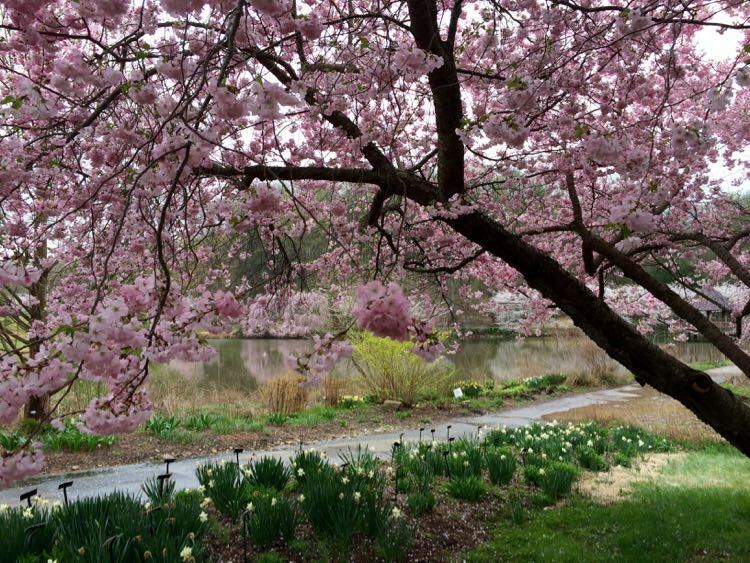 Every May, Passport DC hosts fun events at dozens of Washington DC embassies. The EU (European Union) open house is especially popular. Outside the Embassy of India, view the impressive statue of Mahatma Gandhi. While you can find great food all over Washington, DC, food trucks are something DC does very well. On most weekdays, you can find a dozen food trucks near Union Station, another 15-20 food trucks in McPherson Square, and dozens more across the city. In addition to typical Mexican, Italian, and American offerings, DC food trucks serve Laotian, Ethiopian, Cajun, Jamaican, Vietnamese, Venezuelan, Peruvian, and other cuisines. McCool Travel tip: Check the Food Truck Fiesta website and app for food truck listings in Washington DC, along with Northern Virginia and Maryland. Find some of our favorite food trucks in 8 Great Washington DC Food Trucks. Georgetown is the oldest part of Washington DC and contains gorgeous row houses, old brick cobblestones streets, and a world class university. One of the more surprising things to see in Washington DC is the infamous staircase from the famous horror movie The Exorcist. 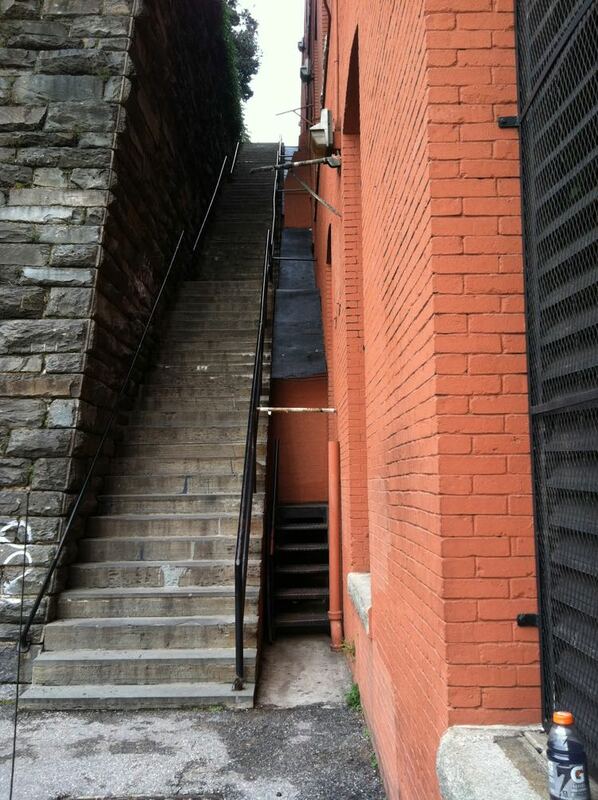 I have seen visitors from all over the world climbing up and down the Exorcist Stairs. Do you dare? 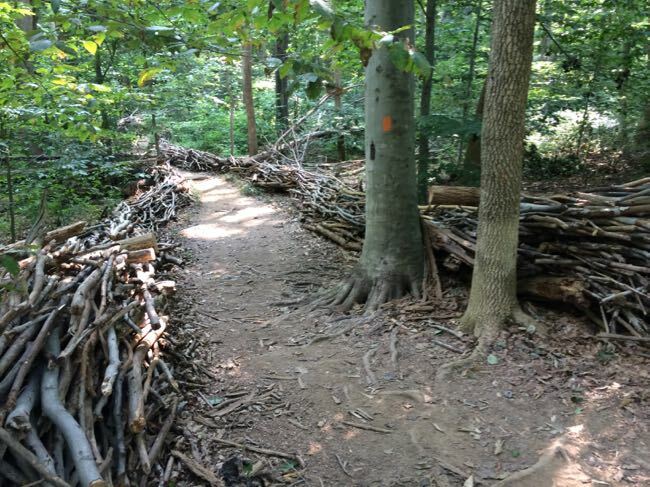 For something a little tamer, visit the nearby labyrinth in Georgetown Waterfront Park. 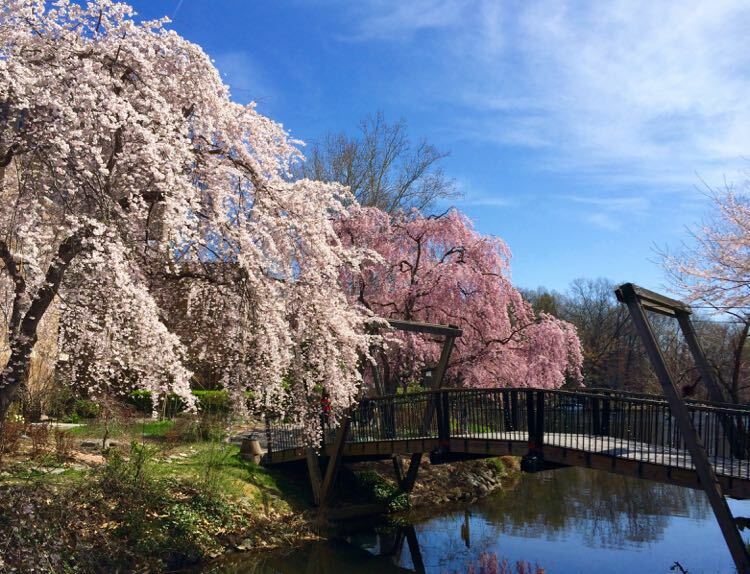 Whether you prefer world famous museums or quirky hidden gems, you’ll find plenty of places to love in America’s capital city. 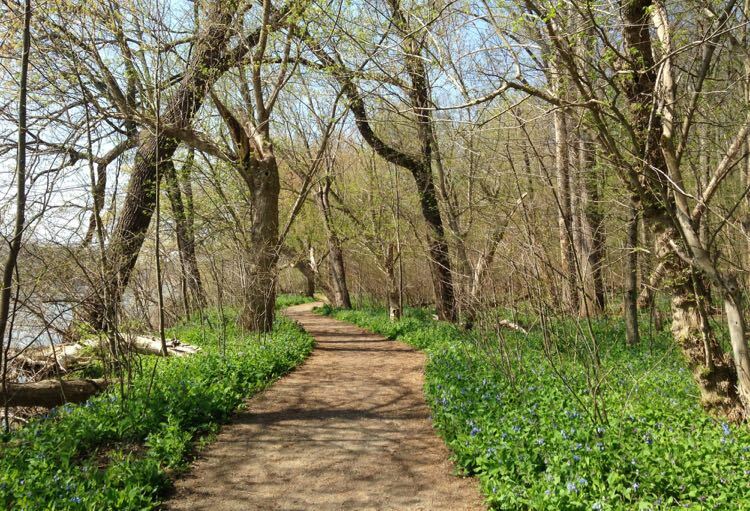 What are some of your favorite surprising things to see in Washington DC? share you tips and suggestions in the comments below. Article by Charles McCool, who works with destinations and brands to cover unique and fun travel experiences on his website McCool Travel. Follow Charles McCool on Facebook, Twitter, Instagram, Pinterest, Flipboard, Medium, LinkedIn, and Bloglovin. Glad you found it helpful Kendra. Happy travel! 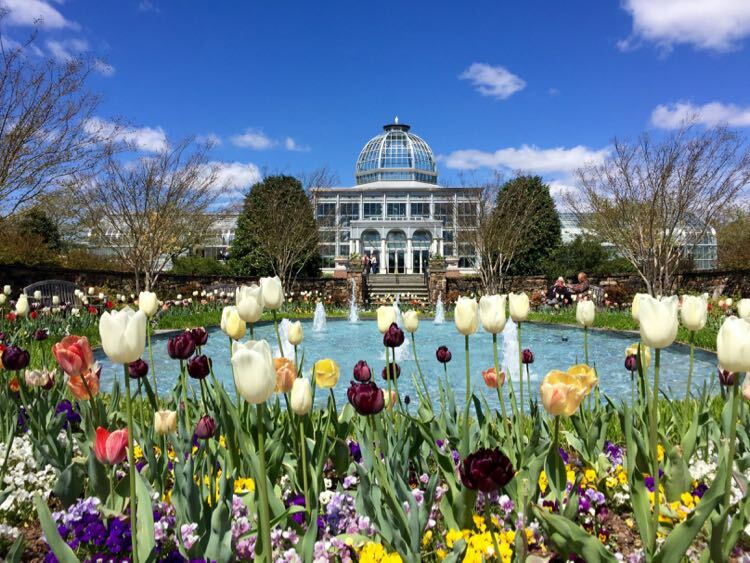 The “skinny houses”, cherry blossom time, and if still available experiencing being inside a control tower at the Dulles Air Museum. Those are favorites of ours too. I don’t think you can go in the control tower at Dulles anymore, but there is a control tower with a good view at the Udvar-Hazy Air and Space Museum next door. Thanks for sharing your tips!